Can I Give My Ferret Cheese? | Can i Give My Ferret? Can I Give My Ferret Cheese? Can you give your ferret Cheese? Cheese is definitely a yummy addition to any meal. It ups the taste of the food and is one of the most common dish ingredients. It’s great for sandwiches, salads, and other dishes. Cheese is also rich in protein and calcium. Aside from being delicious, cheese can also balance blood sugar, improve your mood, and keep your bones and nails healthy. 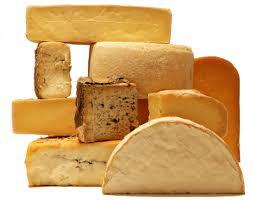 Cheese comes from different places in the world and comes in different varieties. Many animals like cheese, the most popular being the rats. Even if cheese is a famous food for both man and animals, it might not be a good food for other animals. Ferrets don’t have the ability to digest milk and dairy products. Although these foods contain protein and fat, these aren’t what ferrets need. They are obligate carnivores which mean they only need meat to survive. Other kinds of food may be yummy but will not add nutrients to their body. Their digestive system can only take in meat and nothing else. It’s always a no-no to give cheese even as treats. It’s even worse if you feed your ferret cheese for its meal. If you are training your ferret, make sure that you use healthy treats. There are many ideas for ferret treats that you can use. Instead of experimenting with human food, prepare those that are suited to your pet’s diet. Meat is always the best way to go. Many pet owners are giving their ferret meat in order to bring back the natural diet of ferrets. There are lots of meats to choose from. You can try turkey, chicken, beef, or even pork. Always remember not to add any seasoning when you are preparing food for your ferret. Stay away from processed meats, too. These are not healthy for your ferret because such usually contain high amounts of salt and seasoning. Make sure you don’t give excessive treats, as well. Having healthy treats will lead to healthy food habits for your pet. Reinforcing good and healthy eating habits will make sure that your ferret will develop good ones later on. It is important to be careful with what you’re feeding to your pet. They are quite sensitive with the kind of food that they eat. Milk and other dairy products, though rich in protein, is not really idea for them. Ferrets are lactose intolerant and cannot digest these properly. Although some ferrets will eat such food once given, it is not really beneficial for them. Sweets like candies and chocolates are no-no. These foods can be dangerous to ferrets and endanger their lives when taken excessively as it can cause diarrhea, seizures, and even heart attack. Don’t give your ferrets fruits and vegetables, too. Although man needs fiber, ferrets on the other hand cannot digest it. These can only cause digestive blockage and may harm their lives. If your pet ate a lot of cheese, like in macaroni and cheese, make sure that you keep an eye on him. Most often, these do not harm ferrets. It’s safe to observe your pet for a day or two. Check if he eats, drinks, and defecates well. Most of the time, their feces will turn out smelly after eating this. If your pet experiences any diarrhea or vomiting, do take him to the vet. If this happens, your pet may have intestinal blockage. Although a little cheese will not hurt your pet, it still is not healthy for them. Don’t make it a habit. Ensuring that your ferret eats only nutritious foods will make sure that they grow up and age in a healthy way. Feeding them unhealthy food will definitely show up when they older, especially when they develop different kinds of diseases. To make sure there are no accidental eating in your house, you can always ferret-proof it. Clean his play area and check if there are any leftovers or food. Always store food properly and close all the cabinets and drawers in case your ferret manages to climb up the cupboard. Ferrets can be quite sneaky and they can find ways to get around you, especially when you are not looking. Oftentimes, the ferret’s good health starts with the owner themselves. By not spoiling your pet and only giving him what he needs, your ferret will become happy and healthy. Restrain yourself in giving unhealthy treats. No matter how much your pet begs for it, you should never give it. His overall health depends upon you.